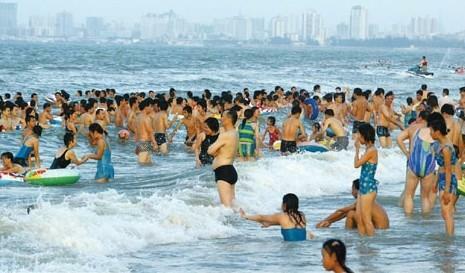 Hainan island, while Russians represent more than half of non-Chinese visitors. Hainan reinventing itself as a luxury international resort island to rival other Asian paradises Hainan Island does not have to worry too much about natural disasters – it has been 8,000 years since a volcano last erupted on "China’s Hawaii" – but local officials secretly fret that a property bubble could derail plans to turn this paradise isle into a global tourism hot spot. Hainan has embarked on a new 10-year plan to compete with regional top draws like Bali, Phuket and Boracay by 2020 – a fairly ambitious plan, even by Chinese standards, given that 96 percent of its inbound tourists are Chinese. But memories of a real-estate bubble that burst here in the early 1990s and caused expensive new hotel construction projects to be mothballed or canceled still haunt government offices. "Personally I’m very worried about the property speculation that is going on, but it seems like the rest of the country isn’t," says Li Baiqing, the Hawaiian shirt-wearing vice-mayor of Sanya, the island’s main draw card for tourists. Filled with lush beaches lined with coconut trees and exotic resorts, Sanya is now building an international resort city along a 21.8-km stretch of its eastern coastline. "Sanya seems to represent a bigger problem that is emerging on the mainland," says Li, referring to other prospective bubbles in cities like Shanghai. "Even though we’ve started opening the door to foreign investment, maybe we need to backtrack a bit to prevent a catastrophe." To give some indication of how fast prices are rising, properties sell for around 10,000 yuan (1,136 euros) per square meter in Dadonghai, one of the more popular, and cheaper, beach resorts in Sanya, or double this on its beachfront. In a neighboring bay, one unfinished luxury development is already selling for 80,000-90,000 yuan per sq m.
However, much of the problem is being driven internally, as newly minted Chinese speculators dump their wealth into the island’s legions of untenanted apartments and cause prices to spike artificially. "There is a massive amount of gray income (in China) seeking a safe haven," writes Alberto Forchielli, a managing partner at Mandarin Capital Partners and a guest columnist for Thompson Reuters. "According to some, shadow income could amount to up to 15 percent of GDP," he says. If Hainan can pre-empt another property market meltdown, and iron out infrastructural and other kinks, it is positioned to lure European and other non-Asian tourists, says Philip Lim, general manager of the Banyan Tree Sanya. "If you look at places like Phuket, they’ve been quite stagnant for the last decade. They have new resorts, but no new theme, whereas Sanya is a new destination for foreigners," says Lim, still sore from the day’s catamaran lesson. "Sanya also has beautiful coral reefs. It’s probably the best place for diving in Northeast Asia, and there’s a wide range of water sports," he says, noting that Bill Gates stayed at the hotel during the 2008 Beijing Olympics, several months after it opened. Hainan also has world-class golf clubs, beautiful beaches and near-perfect climatic conditions – including a typhoon season, which suits the island’s growing community of surfers – as it shares more or less the same latitude as Hawaii. It is now building more five- and six -star hotels at one time than anywhere else on the planet, on a huge developmental project on Haitang Bay that will include a cinema complex and the island’s first ocean park. Most of the area is currently walled off, with newly built wind-generating turbines fringing the unfinished road beside sweeping sand dunes. "This is part of our project to follow an eco-tourism drive, which we think foreign guests will be paying more attention to in coming years," says the vice-mayor. "The last I heard, they’re going to have 35 big hotels there, with two five-stars opening this month," says Terry Ko, general manager of the Sheraton and Four Points, which will be ready for business on the eastern Shenzhou Peninsula early next year. "There is an intention to make (Haitang) the premier international resort area. The industry here is just going to keep growing and growing." The Banyan Tree plans to expand its 49 private villas to 109 next year, while Starwood, one of the largest four- and five-star hotel chains in China, will open seven hotels on Hainan in the next three to five years, according to the latter’s press office. Meanwhile, there are reports that the Sanya Bay Mangrove Tree Resort wants to build an integrated resort modeled loosely on the Venetian in Macao, replete with small canals that allow guests to be rowed to their rooms. In another pocket of the island, details of a planned aviation space park are being kept tightly under wraps. This joins a list of unique attractions that includes the island’s first national geological park, which opened at the Shishan volcano clusters just outside Haikou in 2008.
climatic conditions as it shares a similar latitude with Hawaii. The number of tourist is growing every year, despite a hiccup due to the global recession. Last year, Sanya welcomed 6.7 million tourists, including 317,833 non-Chinese. It has already matched those numbers in the first 10 months of 2010, with the number of foreign travelers up 44 percent on-year, according to statistics provided by the Sanya tourist office. "We expect to see the numbers this year slightly edge where we were prior to the economic tsunami in 2008," says Chen Minjian, deputy director of the Sanya Tourism Industry Development Bureau. While he packages the island as a golfing destination for Koreans and Japanese, he privately believes the plan to court Westerners may take as long as a generation. "Europe and America are not our main markets, but we’re working on them," he says. Europeans account for only between 1 and 2 percent of all tourists to Hainan, while Russians represent more than half of non-Chinese visitors. Dadonghai seems to cater specifically to middle-aged Siberian couples and is plastered with Cyrillic signboards. "We call it the Russian district," says Daria Shorova, a local agent for Pegas Touristik, Russia’s biggest tour operator. "Younger Russians tend to prefer to go to Thailand or Guam, but we’re getting more people coming here every year," she says, adding that 60 percent of her clients come for traditional Chinese medicine therapy, and are surprised at the cost of the resorts. "A lot of them tell us, ‘I didn’t bring enough money. I thought it would be cheaper’." She said the low English literacy rates and lack of entertainment options were the biggest issue for tourists. Among a raft of fast-tracked policy revisions to attract foreign travelers, especially those in the luxury segment, Hainan awarded 26 countries, many of them European, special visa-exemption status from Jan 1. It also loosened restrictions on foreign yacht owners in October. Island authorities are now awaiting approval from Beijing on a proposal to turn Hainan into a duty-free zone for domestic travelers, which is expected to go into effect early next year. At present, only foreigners can pick up their duty-free goods at the airport. Meanwhile, luxury brands like handbag-maker Louis Vuitton, Armani and Chanel are in the sights of Hainan’s tourism board as it aims to court big spenders from China and abroad. The local government admits it will take at least a decade to catch up with more mature island tourism markets in the region, but it doesn’t plan on dragging its heels. Sanya staged the island’s fifth Miss World contest in eight years in October, sending out the message to an estimated TV audience of 1 billion that there is a new player in the market. Around the same time, Tiger Woods’ former coach Hank Haney was teaching swim king Michael Phelps and Hollywood superstars Matthew McConaughey and Katherine Zeta-Jones how to improve their swings in the capital city of Haikou, about a four-hour drive north of Sanya. This was a prelude to the Star Trophy competition that Mission Hills, the world’s biggest golf club, launched to publicize its Haikou resort, which opened in March. The Golf Channel came, screened highlights and rhapsodized about the island’s charms. The tournament was supported by Haikou authorities. "The local government is going to all these international trade fairs to spread the word (and put Hainan on the map). We just need to go out and sell it," says the Sheraton’s Ko. "Phuket and Bali have this exotic aura, but we have better weather (as he spoke, it was snowing in Shanghai, but temperate in Sanya), and competitive pricing. All we need is international sightseeing spots. The current ones, like Big Buddha on South Mountain, have too much of a domestic orientation. 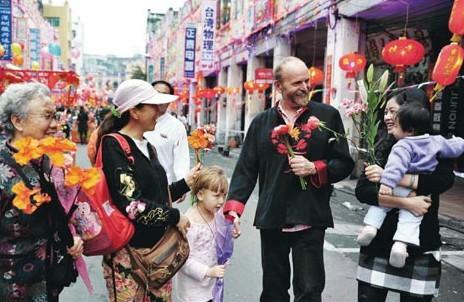 Attracting European, American and other non-Asian tourists is a part of China’s opening-up policy that began 25 years ago, back when Sanya was a sleepy fishing village. In the late 1980s, former Chinese leader Deng Xiaoping established the island province as the country’s largest special economic zone. Whether it can rival mature Asian destinations in Thailand and the Philippines is open for debate. Some say Northeast Asia may be a more realistic target, lumping it in the same bracket as Korea’s Jeju Island and Okinawa in Japan. Jeju saw its tourist numbers rise 12 percent when it went duty free, and Hainan is hoping for even better results. However with its lack of infrastructure – swathes of Sanya are under construction – its Chinese culture, cowboy-like taxi drivers who rank among the worst in China and bottle-necked local airports that suffer from a paucity of direct international flights, Hainan faces more obstacles in its path than an Olympic hurdler. "New resorts and residential properties are popping up like mushrooms, but the infrastructure is not keeping pace," says Lim. Some complain about the frequency of traffic accidents on the roads caused by farmers and villagers not obeying traffic rules; others are waiting for Hainan to get a Walmart, Carrefour, Starbucks or international medical facilities. There is no big shopping mall yet. Some of these problems are being addressed, but it’s not going to happen overnight. A new high-speed train that will shorten the journey between Sanya and Haikou to 90 minutes should open on a trial basis next month, while Sanya’s single-runway airport will double its passenger-flow capacity from 9 million to 20 million next year, officials say. The local government is also offering charter flights subsidies of 10,000 yuan every time they touch down in Sanya, but Chen admits that attracting more direct routes is a problem due to the lack of foreign visitors going both ways. For long-term expats, modernization is a double-edged sword that has left the city’s narrow roads clogged up, a trend that is likely to get worse before it gets better. "When I think of Sanya (city) now only two things come to mind: Pollution and congestion," says California’s Matt Hammonds, a three-year resident who runs an Internet site-building business. "I don’t see it going fully international for a long time, if ever. There’s not much to do here apart from hitting the beach." At present, Hainan only permits lotteries to appease people’s appetite for gambling, but local media reports suggested in February that the island may permit casinos to operate, with some new hotel projects allegedly reserving space for gambling halls. "I think this is probably never going to happen," says Li. "We’re not going to become another Macao, and we’re not going to become another Hong Kong, despite the prospect of us going duty free. We’re not going to eat into their tourism markets. We have our own unique advantages."